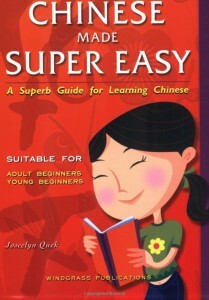 During my stay in Singapore, I found this book very simple and direct to the Chinese learning. It focused on “Sentence Pattern” (neither on grammar, nor on vocabulary). One Sentence Pattern was linked with many vocabularies, in another words, you can express a lot by simply learning several useful sentence patterns. I just found it fascinating. Sometimes, if you want to learn in a really relaxing way, this is the right choice. Some singaporean are bilingual, we can learn from them.